« Ultimate Purina Experience: Enter to Win! Raising backyard chicks is a great experience for the whole family. 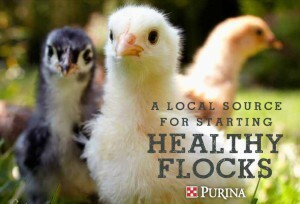 One of the primary requirements is providing housing that is comfortable for your backyard flock. Young chicks can be raised in a variety of structures, but the area should be warm, dry and ventilated, but not drafty. Also make sure it is easy to clean. This entry was posted on Friday, January 12th, 2018 at 2:34 pm	and is filed under News & Updates. You can follow any responses to this entry through the RSS 2.0 feed. Both comments and pings are currently closed.